One of the things I’m looking forward to most in 2018 is the much-anticipated debut of Toy Story Land here at Disney’s Hollywood Studios. 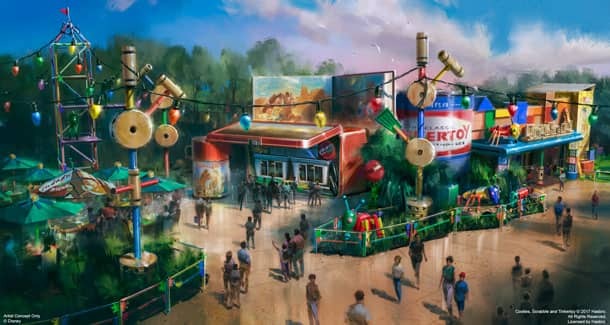 The expansion will shrink guests to the size of a toy and allow them to explore Andy’s backyard, which has been delightfully scattered with toys from the “Toy Story” films. Here are five things we know about Toy Story Land so far. 1. 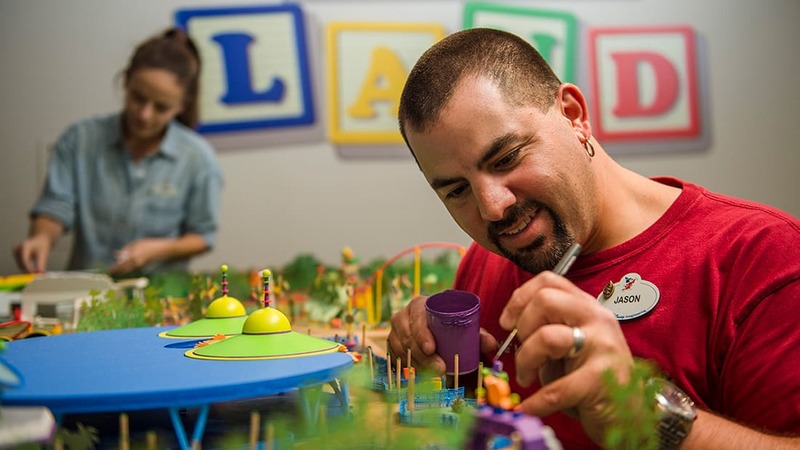 You Can View The Toy Story Land Model Now At Walt Disney Presents – Guests at Disney’s Hollywood Studios can view the Toy Story Land model in person at the Walt Disney Presents exhibit. The full model is on display, as well as ride vehicle maquettes for both Alien Swirling Saucers and Slinky Dog Dash. 2. Slinky Dog Dash Looks Sweet! – This a family coaster themed as if Andy built it in his backyard using his Mega Coaster Play Kit and some of his other favorite toys. 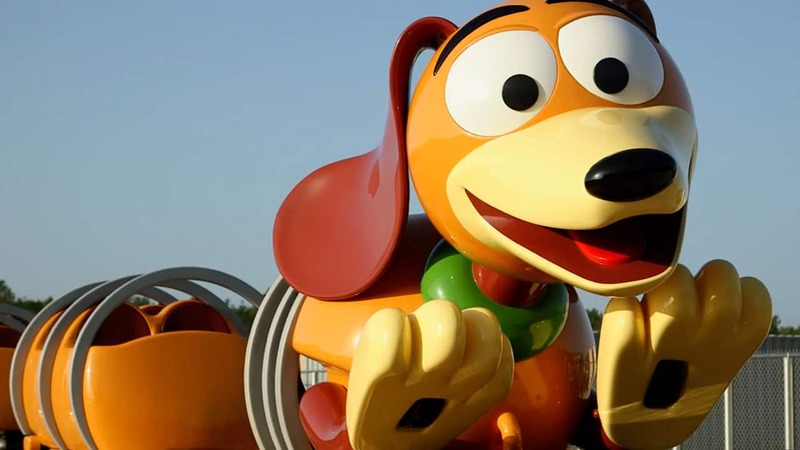 The attraction’s adorable ride vehicles were inspired by Slinky from the film and will send guests dipping, dodging and dashing around Toy Story Land. 3. Toy Story Friends Like Rex, Jessie, Sarge & Others Can Be Spotted In The Land – Late last year, Rex and Jessie were installed as a part of the Slinky Dog Dash attraction. A peek at the rendering of Woody’s Lunchbox hints at even more characters that will soon be added, like Sarge. 4. Guests Will Dine At Woody’s Lunchbox – Andy has used his lunch box and thermos to create a walk-up quick-service window that will serve up tasty meals and old-fashioned soda floats. In the rendering above, you can see that Woody’s Lunch Box is surrounded by some of Andy’s favorite toys and lunch items. Stay tuned to the blog in the coming months for specific menu details. 5. It Opens This Summer At Disney’s Hollywood Studios! – We don’t have an exact opening date yet, but be sure we’ll post it as soon as we know. 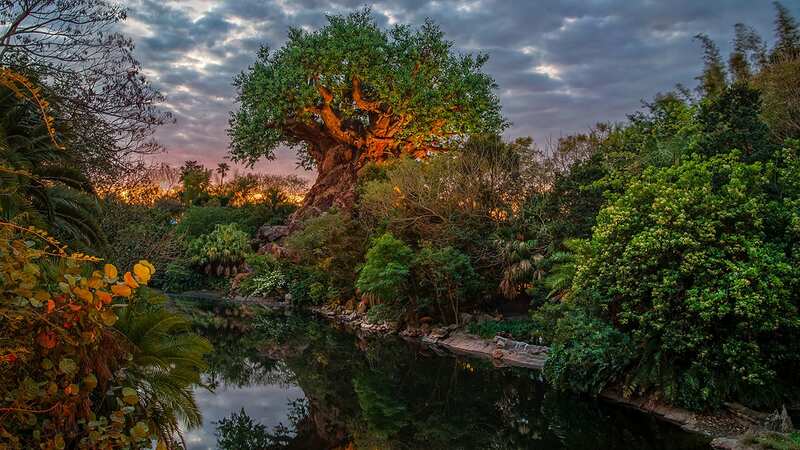 Be sure to stay tuned to the Disney Parks Blog throughout 2018 for updates on this thrilling expansion. Can’t wait for the date to be released! I don’t want to book my trip until I know when it will be open. We’ll share it as soon as we know! My family and I can’t wait for Toy Story Land to open! Will Jessie be there, as more than just a figure on the coaster? We miss seeing her in Frontierland, and hope that she will be meetable with Buzz and Woody! My family is so excited for this! My daughter is really hoping Jessie will be there to meet again. Any chance we can find out about meet and greets?? This is so exciting! Can’t wait to see what is on the menu at Woody’s Lunchbox!! Sounds exciting. Any idea on whether there will be passholder previews? And if there are, may I humbly request that a better effort be made to notify us when signups (if they are required) open up? For Pandora, many of us didn’t get notified that there even was a preview until days after all the slots were filled. Woody’s lunchbox? Was Pizza Planet too predictable?? Oh well. Just got back from our WDW trip on Dec 23rd from California. Prob won’t be back for a few years, but look forward to all the new fun coming up at Hollywood studios! Fabulous!! 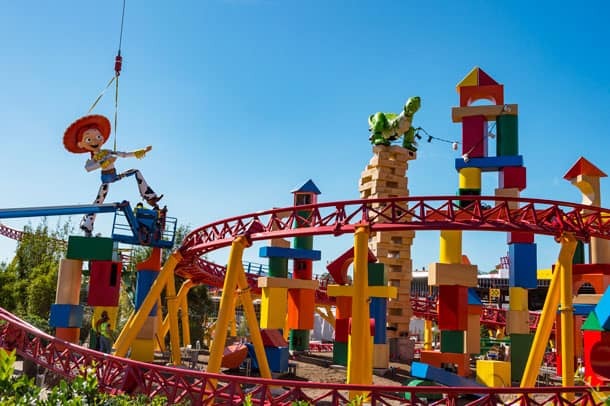 Just booked our flights for our November trip yesterday – my kids cant wait for Toy Story Land! Looks like its going to be great!! Thanks for the update, Jennifer! Do we know if Toy Story merchandise will be available in the Land? Any update on the soft opening or grand opening? Any chance Toy story land will be open by the week of May20 th 2018? Are we any closer to finding out a date for opening day of Toy story land? Coming June 5 . Will there be an AP special preview?